Checkmate!! 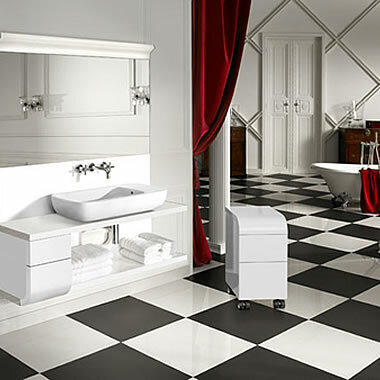 If you want a ceramic black and white checker board effect use the white and black tiles from this range. Or for a plain true black or white.